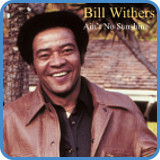 ‘Ain’t No Sunshine’ was originally written and performed by Bill Withers. Starting its life as a B-side in 1971 to his first single Harlem, it didn’t take DJ’s long to flip it over and start playing it day and night. 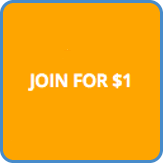 Since then, many other singers have covered ‘Ain’t No Sunshine’, so much so it has become a modern standard. 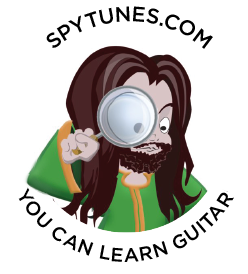 When you take the beginner course, ‘Ain’t No Sunshine’ is the last song you’ll learn. The Em and G’s function is to simply bring us back to Am again. 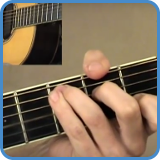 Am7 might sound like a complicated chord to play, but all you do is remove a finger and let the open G string ring. The Am7 chord also finds another b7 on the top string. Dm7 is built in just the same way as Am7, simply replace the root with a b7. 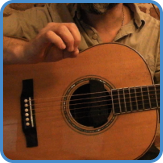 The root is found on the second string in a normal Dm shape, for Dm7 you move this down two frets and replace it with a b7. 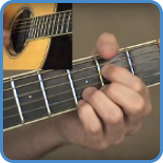 To get the full lesson including chords and the exact fingerstyle pattern displayed with complete TAB, turn to the beginner course. For complete lyrics, go to Ain’t No Sunshine lyrics. 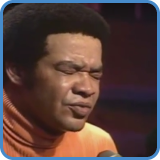 Bill Withers is an American singer-songwriter who performed and recorded from the late 60s until the mid-80s. Some of his best-known songs include ‘Ain’t No Sunshine’, ‘Use Me’, ‘Lovely Day’, ‘Lean on Me’, ‘Grandma’s Hands’ and ‘Just The Two Of Us’. To find out more, go to Bill Withers biography.